When visiting The Scottsdale Resort for the first time, it’s hard to believe this sparkling 18-acre resort is over 40 years old. The progressive look of this timeless property was enhanced by a recent $10-million renovation that infused new energy and features. 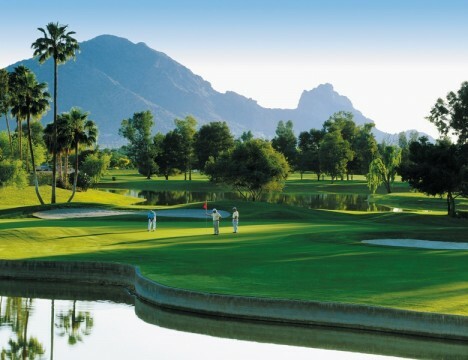 What hasn’t changed at The Scottsdale is the resort’s forward-thinking design, world-class facilities, and picturesque setting in the Sonoran Desert. Flash back to the mid-70s, and the city of Scottsdale was a mere glimmer in the minds of golfers, retail property developers, and transplants desiring upscale living with year-round sunshine. 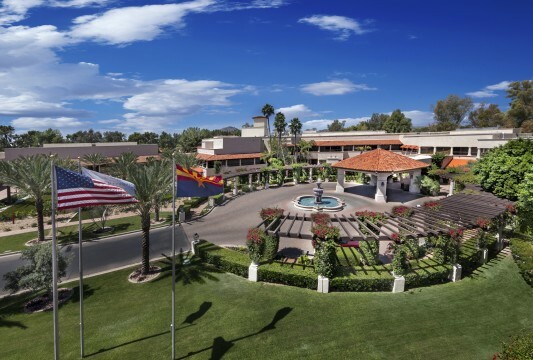 In 1976, the Scottsdale Resort at McCormick Ranch became the first hospitality destination in the U.S. to present itself as a meeting and conference site. 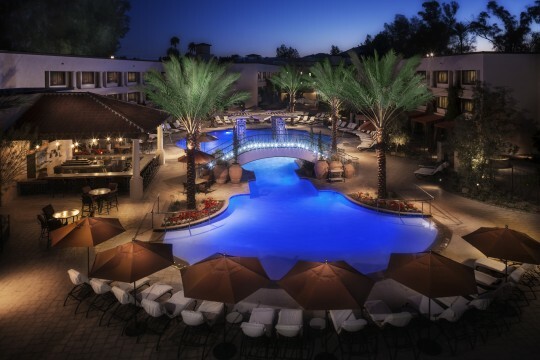 Fast forward to today and America’s first all-in-one conference center is also one of Scottsdale’s premier hotels for couples and families desiring a sun-splashed getaway. The Scottsdale’s two-fold conference and vacation allure is due to its premium accommodations, as well as extraordinary business, dining and excursion offerings. This is all available from a site that’s just a 20-minute drive from Phoenix’s Sky Harbor International Airport. The curb appeal of The Scottsdale is apparent as soon as your car keys are handed to the valet at the front entrance. Meticulous landscaping, a lush green courtyard, and a glimpse of The Scottsdale’s array of 50 meeting rooms are evident as you’re welcomed by the cordial staff. The multi-million-dollar renovation gleams in the hacienda-style reception area, convenient concierge station, architect Bennie Gonzales’ outdoor patio, and the new Bar Six40 that’s a Happy Hour must. As you’re accompanied to your room, The Scottsdale’s classic layout exudes a quietness in the hallways which is amazing for a hotel whose occupancy is brimming with guests. Your AAA Four Diamond accommodations feature a southwestern ambiance, easy ergonomics, and round-the-clock room service. Choose from a golf course view, a pool view, or if you stay in the Stillman Suites, an added layer of seclusion. Whether you’re at The Scottsdale for a meeting, wedding, reunion, golf getaway, or well deserved vacation, you’ll delight in the fingertip convenience this legendary resort offers. For conference attendees, The Scottsdale’s team makes a point of threading continuity for your scheduling, meeting, and dining needs. Arizona’s premier indoor and outdoor conference site offers a plethora of packages for groups ranging in size from 10 to 1,200. Regardless if you’ve chosen The Scottsdale for business or pleasure reasons, the resort prides itself in presenting a wealth of amenities on property and beyond. The Scottsdale’s concierge can connect you with one of their excursion specialists to see which Scottsdale-area outdoor diversion makes your heart sing. She can also arrange for a massage, facial, or body treatment at their Luna Spa. 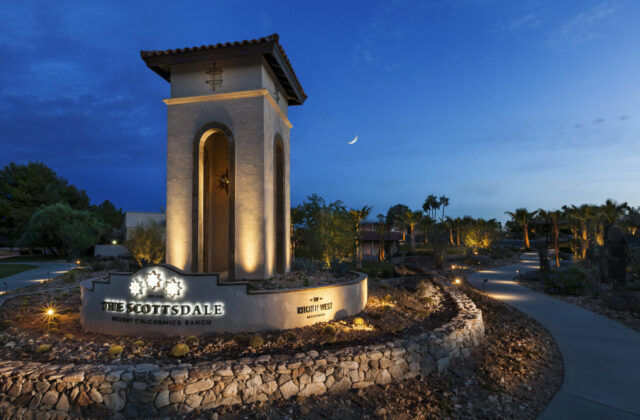 The Scottsdale is home to 11 miles of paved hiking, biking, or running trails, a dozen convenient art and shopping venues, and Scottsdale’s renowned golf. Right next door you’ll find The McCormick Ranch Pine and Palm Golf Courses. These two 18-hole layouts deliver desert golf at its finest. 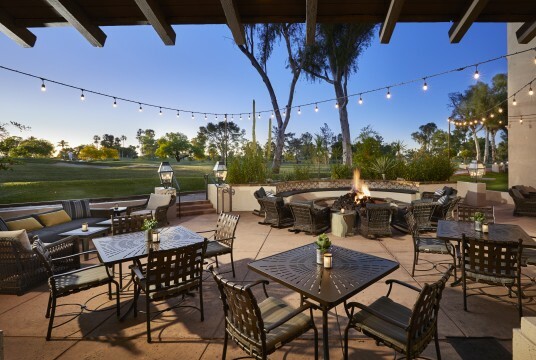 After your day of meetings, hiking, shopping, or golf, The Scottsdale is a great retreat for indoor or outdoor dining. 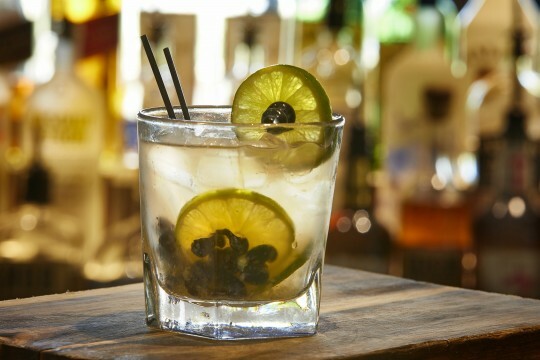 Before requesting a signature Maude’s Mule cocktail or craft beer, take a peek at some of the photographs tracing Scottsdale’s history and the story behind the Bar Six 40 name. Then ask your server what entrees Alaskan-born Chef Rick Dupere has on special this week. 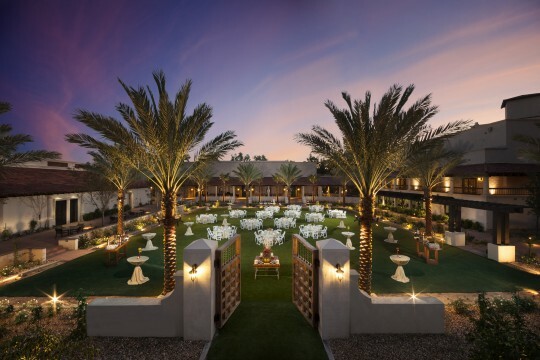 Today’s version of The Scottsdale Resort at McCormick Ranch is a tribute to its history, ongoing legacy of meeting excellence, and an enduring brand of southwestern-style hospitality. For your next meeting or sunny vacation, The Scottsdale is looking forward to meeting your needs.